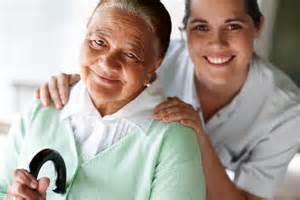 Home health care management will see minimum wage guidelines championed by the Obama administration regarding general minimum wage and overtime pay go into effect in January, 2015. This may be good news for home health workers, however, many agencies have had an adverse reaction to it. Several agencies have reportedly stated that this mandate by the Labor Department will force them to limit the hours of service available to clients, or bring hiring to a halt altogether. Republicans and other home health industry interest groups have requested these new regulations by the Labor Department be delayed due to the fact that they could potentially have a devastating impact on agencies across the country. However, the Labor Department has stated that it plans to uphold the legislation but will consider delaying the effective date. Many home health workers have praised the administration’s decision to address the issue of minimum wage, as well as protections regarding overtime pay- the pay many have been exempted from. Likewise, many groups believe that it’s taken far too long for the issue to finally be addressed in the first place. Many believe that the quality of care can be directly linked to the working conditions of employees. With more incentive, employees could be likely to improve their performance, given the higher morale. This would also make it more justifiable to retain the high-performing staff members. Not to say that caregivers just simply care about their paycheck, but a little incentive and increased morale can go a long ways in any industry. There are two major perspectives on this issue; the first being that home health management groups believe that this will ultimately reduce their ability to provide adequate care. On the other side of the coin, employees and special interest groups believe the new guidelines could actually prove to be beneficial and even potentially raise the level of care quality by attracting more qualified employees. With the appeal of higher wages, it could potentially lead to employees with more experience entering the field in order to take advantage of the flexibility that the home care industry provides for many. With the proposed changes to Medicare reimbursement, the opposing argument doesn’t seem completely unfounded. Additionally, new health care reform legislation will go into effect January of next year, which will require agencies with 50 or more employees to provide health coverage. However, the need for livable wages and a fair work environment must be addressed. Increased wages in combination with proposed Medicare cuts could lead things in either direction. Where do you stand on the issue?